Built sometime before 1740, the Seegers’ home is one of the oldest surviving single houses on the peninsula. Its green spaces were originally conceived by noted garden designer Loutrel Briggs in 1951 and 1961. 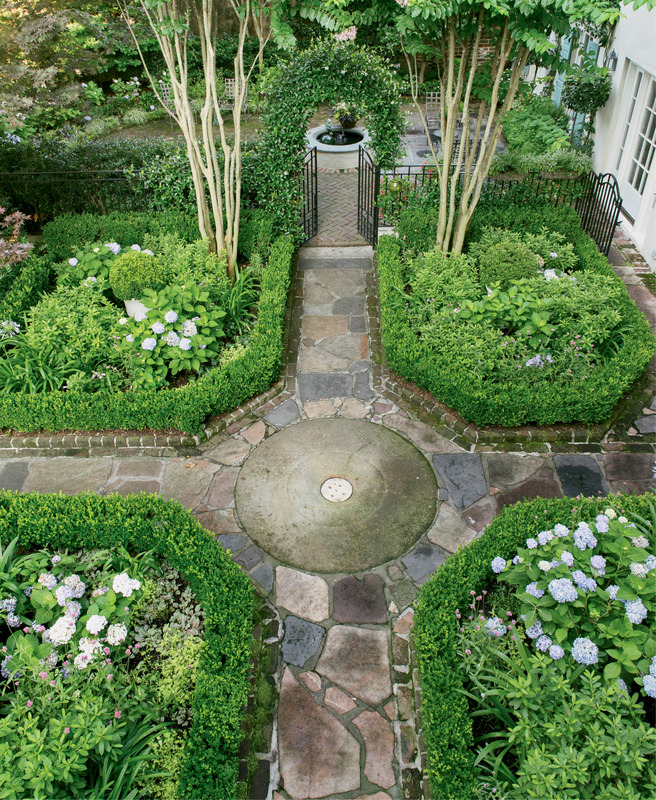 While Briggs’s initial vision of a French parterre garden and adjacent horseshoe-shaped courtyard remains intact, Monica and landscape architect Sheila Wertimer refreshed the space in 2010, removing overgrown vegetation and swapping in more flowering plants, such as azaleas, agapanthus, and hydrangeas. From the first-floor piazza, the eye is drawn down the center path of the parterre garden into the rear courtyard. Like much of Monica’s statuary, the Pan figure (the Greek god of nature and shepherds) came from her garden in California. 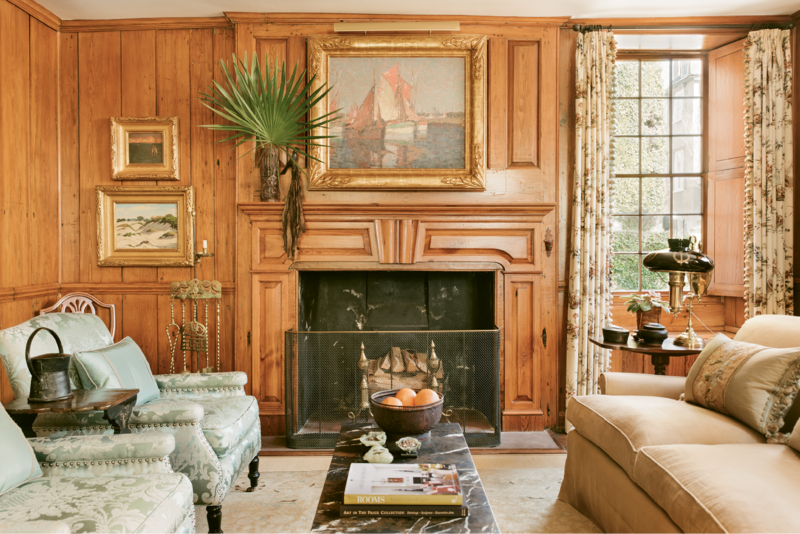 At one point, the original cypress paneling in this room was hidden under more than 20 layers of paint; upon moving in, the Seegers hired artisans to continue the previous owner’s restoration of the wood. This family room and breakfast area are within what was once a separate kitchen house; a previous owner had the rear building connected to the main structure via a hyphen. 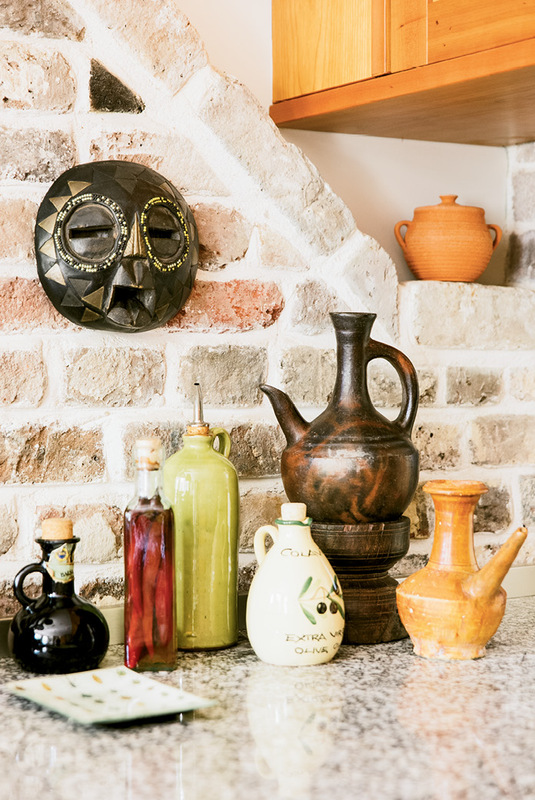 From Ethiopian carved wood candle holders to a Croatian honey pot, artifacts collected during Monica’s many travels lend a global aesthetic to the interiors. 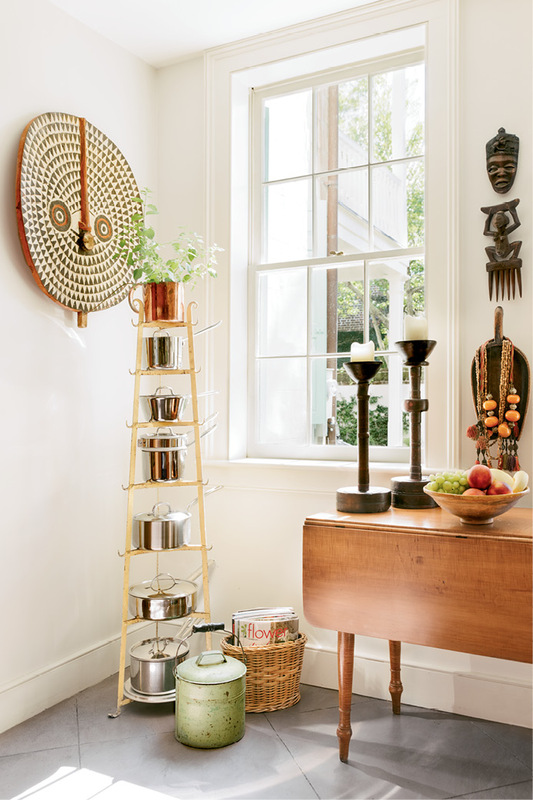 African masks and a watercolor painting by local artist Mary Whyte add warmth and personal meaning to the utilitarian, Bauhaus-style kitchen. 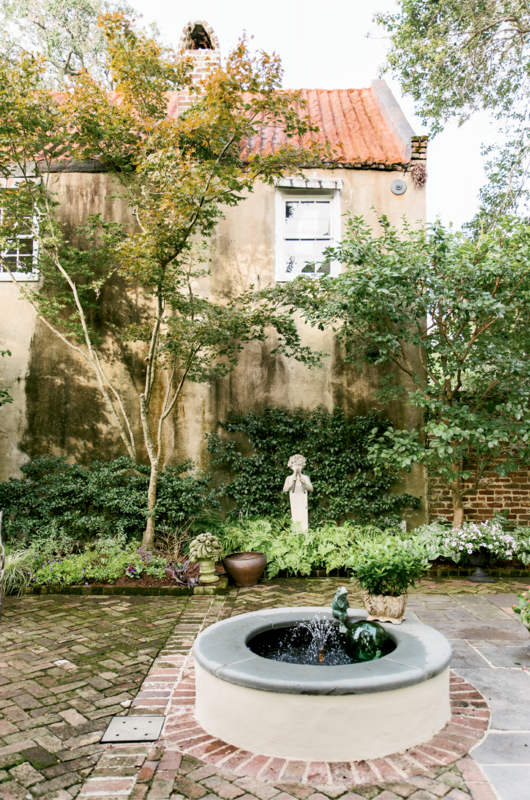 A previous owner filled in this fountain, which anchors the rear courtyard. Monica had it restored and rebuilt, returning the space’s signature water feature. Each of the parterre’s quadrants is trimmed in boxwood with a boxwood globe at the core. 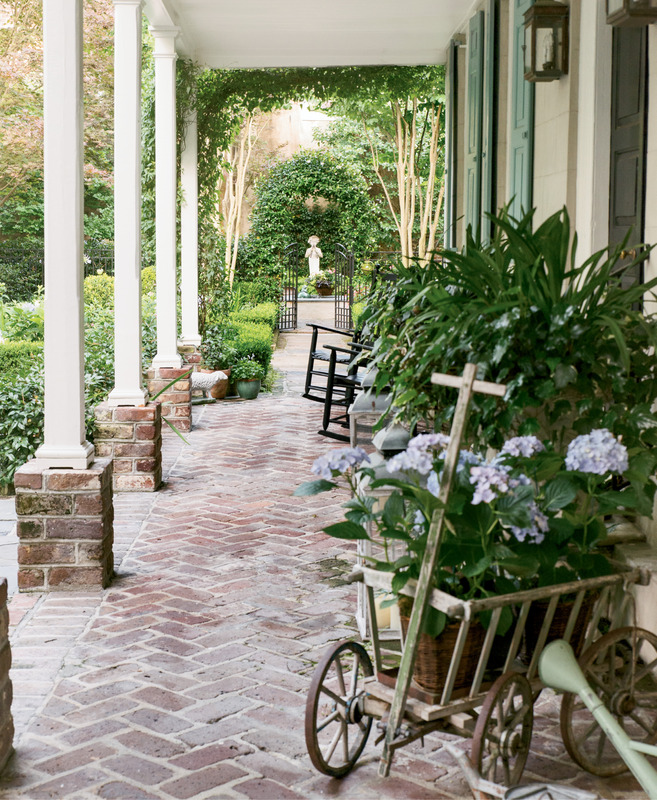 Flowering plants, such as agapanthus, azaleas, and hydrangeas, pop against the green. Monica potted a non-invasive evergreen wisteria to train above the kitchen door. 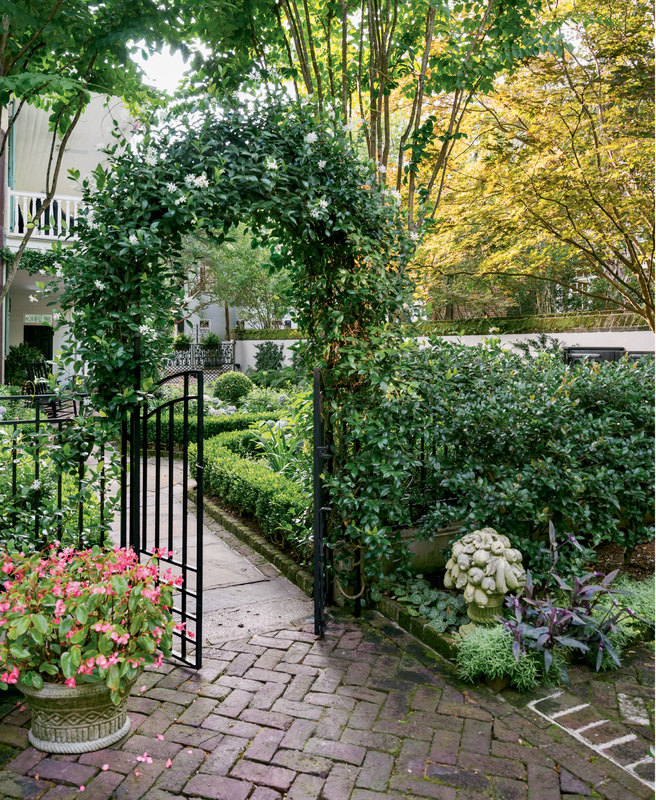 A gate and an arbor covered in confederate jasmine lead the way to the rear courtyard garden. 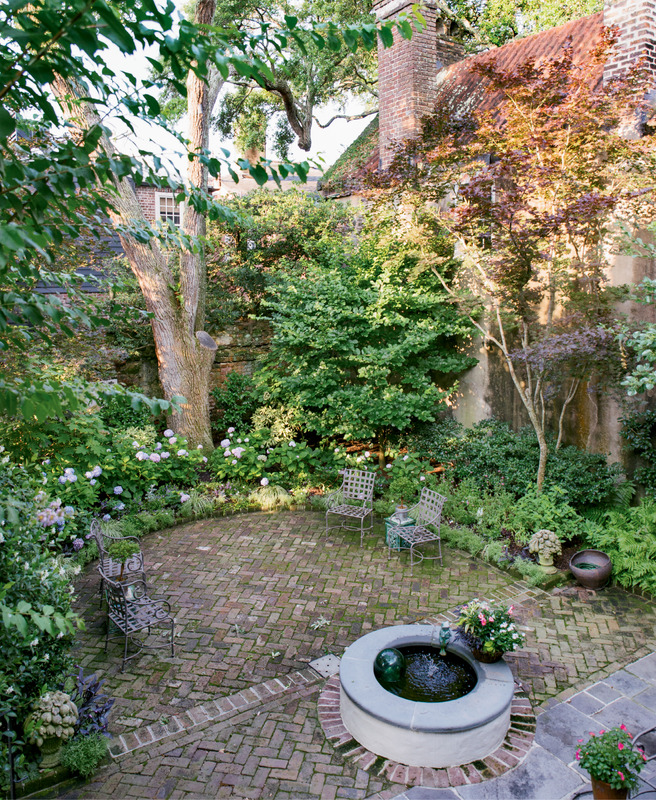 Mature oak, parrotia, Japanese maple, and fringe trees lend privacy and shade to the courtyard garden. A climbing Sally Holmes rose frames a window into the family room. 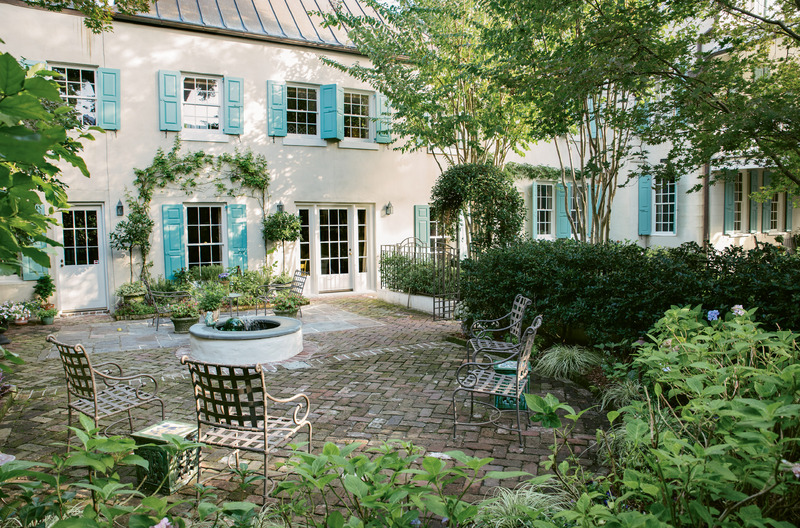 When the organizers of Spoleto went on the hunt for a distinctly Charleston setting in which to host a luncheon for the festival’s major donors, one board member had a hot tip: call Monica and Ken Seeger. 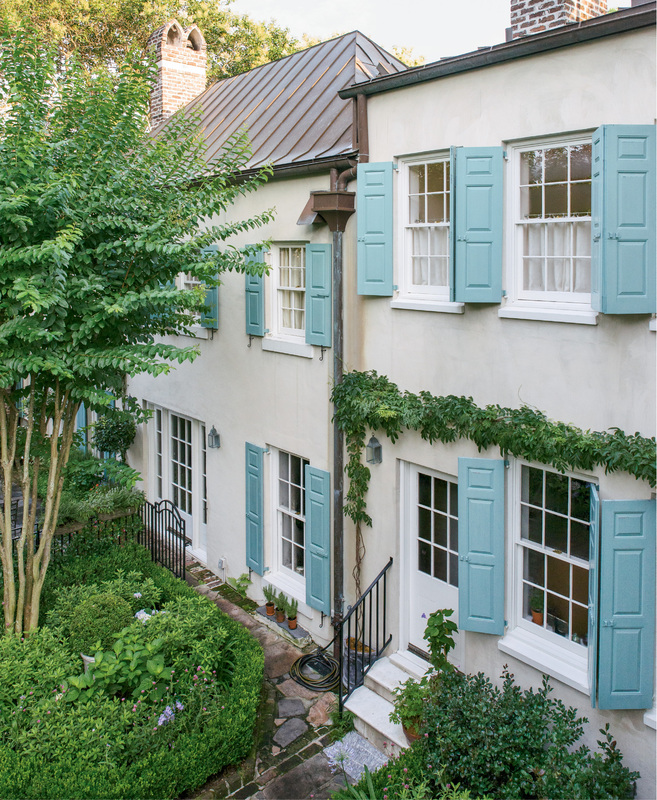 The couple is known for flinging open the doors of their lower King Street manse and adjacent courtyard garden to welcome nonprofit groups. 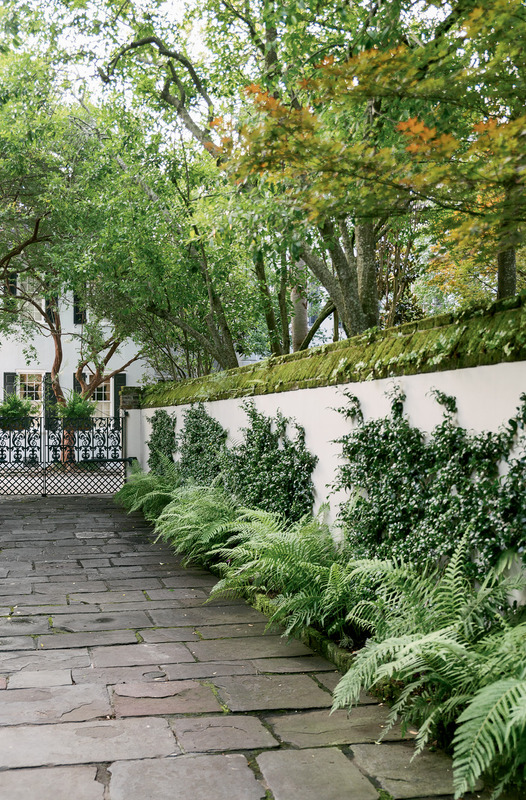 And those groups are in for quite a treat: the home, built in the 1730s, is one of the oldest surviving single houses on the peninsula—and, with its cream-colored stucco-over-brick façade, Tiffany-blue shutters, and year-round lush foliage, it’s one of the most charming, too. The South Carolina Aquarium, Historic Charleston Foundation, and most recently, a group of Massachusetts Institute of Technology alums have all hosted fundraisers in the garden, with partygoers mingling amongst the confederate jasmine and foxglove. And while the Seegers don’t charge a dime when they loan out their abode, they say the open-door policy has been hugely rewarding in other ways. The Seegers were longtime Californians before coming to the Holy City nearly a decade ago. Though Monica’s a Georgia native and Ken hails from western New York, the two met and married in the Golden State and raised their children—Courtland, now 32, and Katie, 30—in the Bay Area, where Monica helmed a thriving real-estate business and Ken owned a land development company. 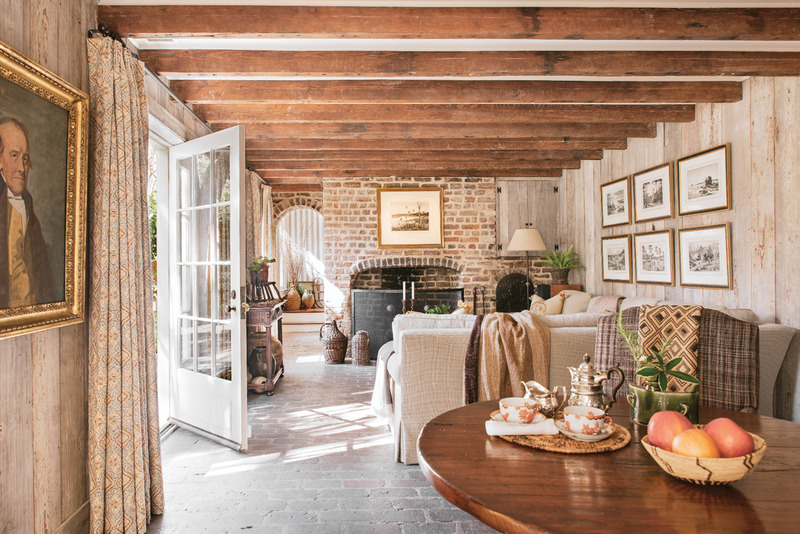 But when WestRock (formerly MeadWestvaco) tapped Ken to lead its Charleston-based community-development division, the pair found themselves embarking on an unexpected Lowcountry adventure. 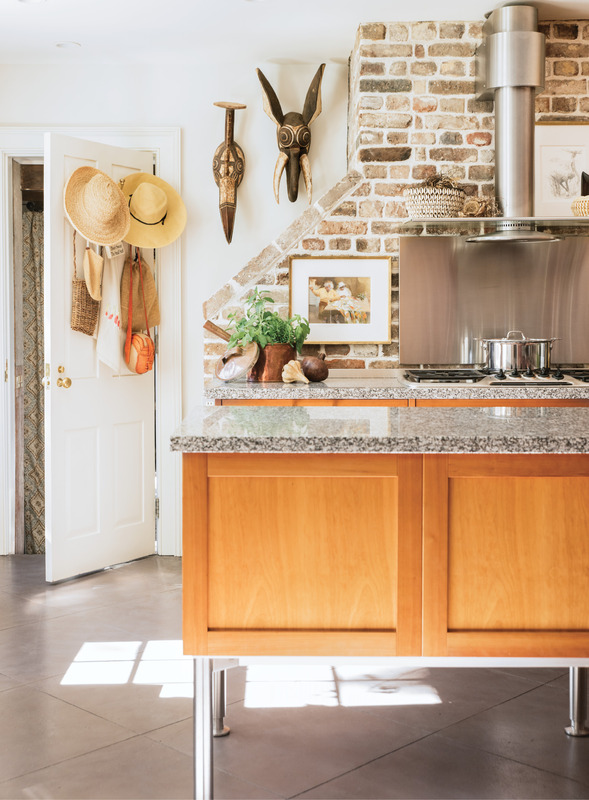 Monica and Ken share a penchant for historical architecture, and by California standards, their previous residence—a 1930s Cotswold-style cottage—was considered old. 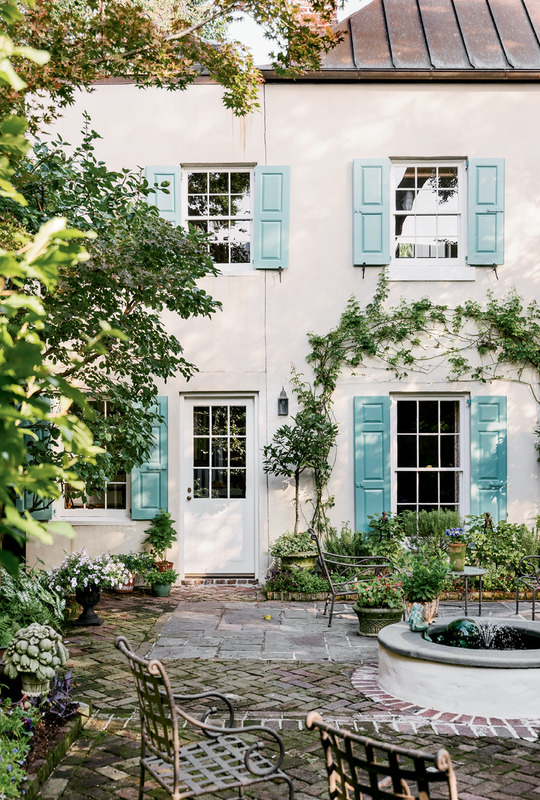 But while house-hunting in Charleston’s Historic District, they fell for a much older 18th-century manse that’s steeped in story. Named the “William Elliot House” for its first occupant (a home-builder who received clients in the cypress-paneled parlor on the first floor), it survived the Great Fire of 1861 and went on to serve as a girls’ boarding school. “This house was here before America had its first president, before the American Revolution,” Monica muses. Still, previous owners had outfitted the place with all the comforts of 21st-century living. Recent renovations modernized the two kitchens and five baths, and a separate kitchen house had been connected to the main structure via hyphen, upping the home’s footprint to just over 4,000 square feet. “It’s nice that it was move-in ready. We only chose to update the fabrics and paint colors to really make it feel like ours,” Monica says. 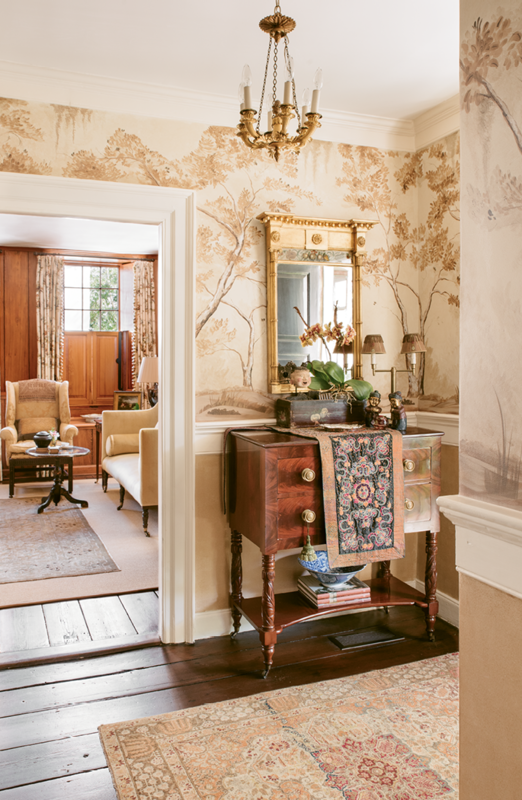 To that end, area design pro Amelia Handegan guided them towards furnishings and fixtures that are refined yet inviting, all in line with the historical home’s more petite rooms. Atop this, Monica layered artwork that reflects her past and present, including her collection of plein-air paintings from California and works by Lowcountry artists such as Mary Whyte. Artifacts collected during her many travels add texture and pattern throughout. The gem of the property, though, is the south-facing garden, which was originally the handiwork of noted landscape designer Loutrel Briggs. Divided into two distinct zones—a formal French parterre and a horseshoe-shaped courtyard—the green space has great bones. 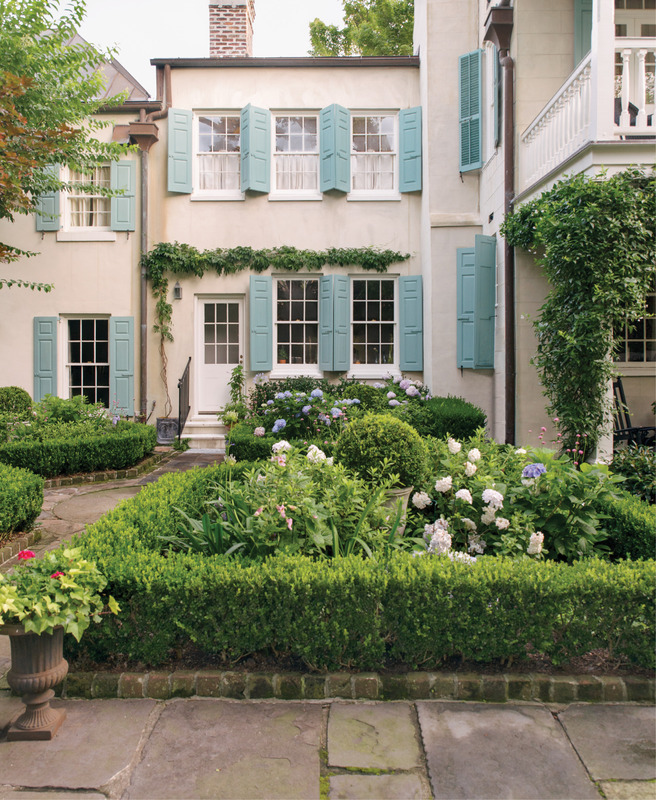 Monica, an experienced gardener who, while working in real-estate, regularly reimagined her clients’ landscapes (“it was not at all unusual for me to be out there trimming their roses or bringing over new plants—anything to up the appeal of a home!” she says), had a vision to honor the garden’s history while suiting their needs. So she called on area landscape designer Sheila Wertimer, whose firm first worked on the property in 1988, to create a planting plan. Monica travels frequently, often in tandem with pal Susan Hull Walker, who owns ibu, a King Street boutique touting textiles and apparel made by women around the world. On trips to far-flung destinations such as Laos, Thailand, and Ethiopia, the two collect textiles and other art and artifacts, which they sell from a shared booth at Seventeen South Antiques in West Ashley. Monica’s approach to other cultures reflects her welcoming attitude towards sharing her home with the larger community. “I’m broadening my world with these experiences,” she says. “I love learning about the people, the process, and the techniques used to create a piece of cloth.” The lady of the house also enjoys wearing items from her travels—pairing, say, shoes from Morocco and a jacket from Turkmenistan with blue jeans. “It’s a wonderful conversation starter,” she notes. 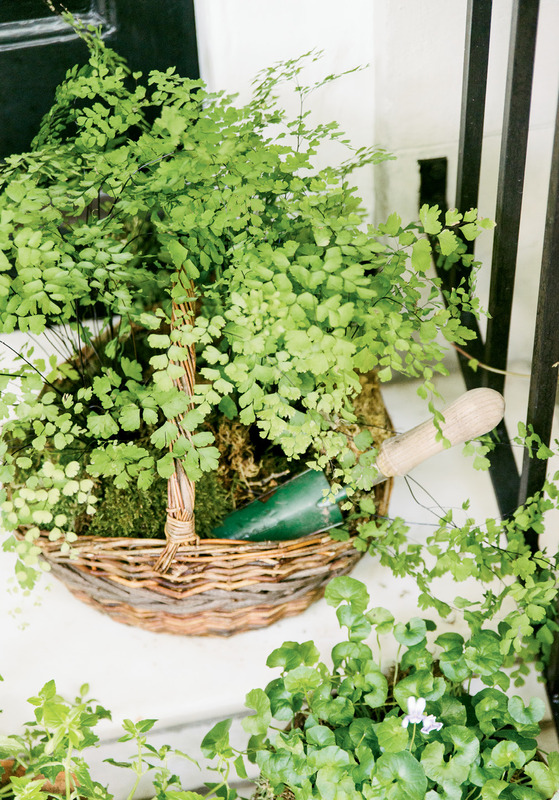 But when she’s not globe-trotting, Monica spends a part of every day in the garden, clipping roses, pruning boxwoods, or filling containers with seasonal blooms. She’s forever looking for ways to improve the space, most recently working with David Dozier of Wadmalaw Island’s Garden Elegance Landscape Services to add some vegetables and fruiting plants to the scene. 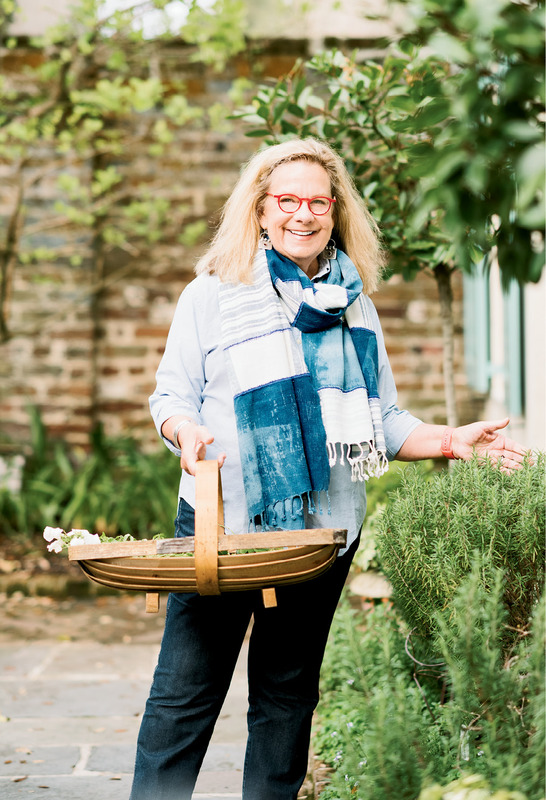 She grows many herbs, including basil, rosemary, and thyme, and has been experimenting with muscadine grapes.